Me presenting a workshop. As you can see, I like to talk with my hands. 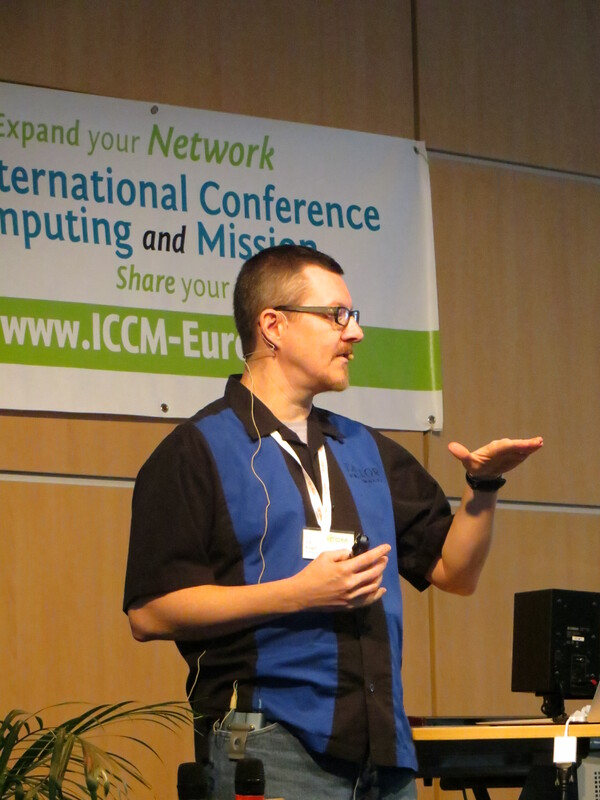 I returned late last night from a wonderful trip to Germany, where I attended ICCM Europe 2016. This trip and conference each year focuses my global perspective while growing me spiritually, professionally, and personally. I am on the leadership team for the conference, present workshops, and emcee the What’s Hot/What’s Not session. 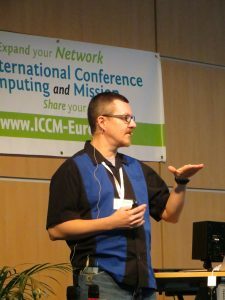 One of the additional joys of ICCM and why I mentioned it here on my freelancing blog is the late night gaming community. You get a group of geeks from around the world that all love games, and you have the makings of a mini game convention each evening after the conference day ends into the late hours. It is so much fun to sit at a table with people from around the world playing games, discussing games, and talking shop with some other game industry freelancers in attendance. 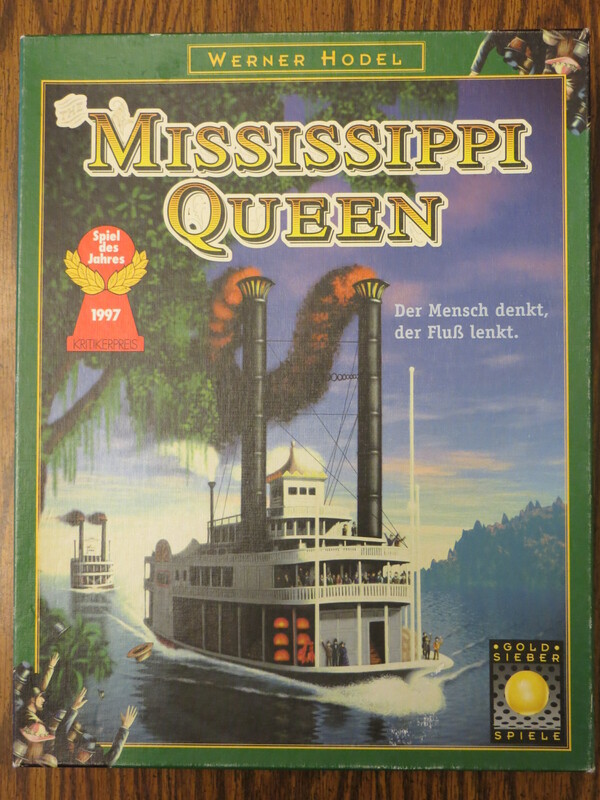 Various languages and cultures mix and mingle with games binding us all together. 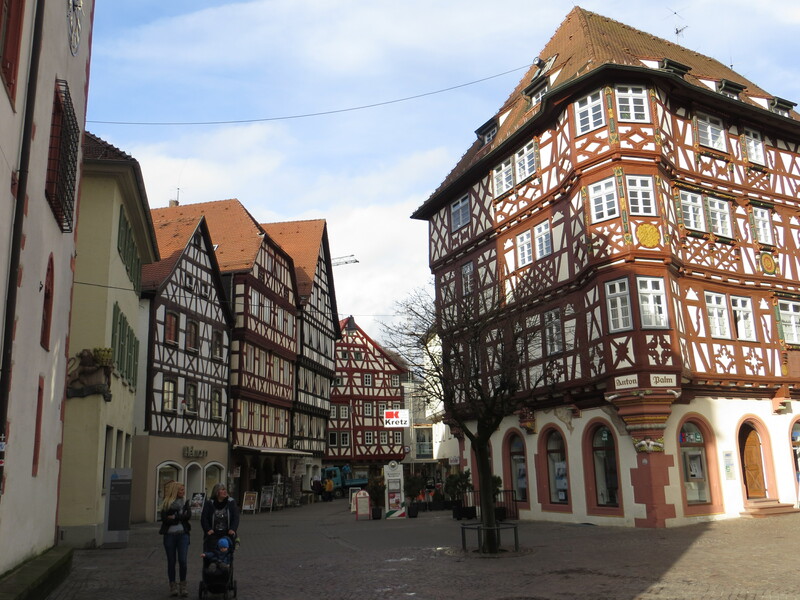 A group of us used some free time to wander around Mosbach a couple afternoons to see some sites and check out the gaming scene. 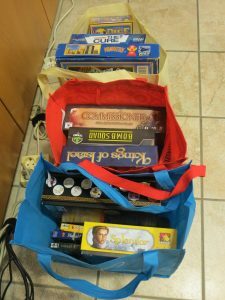 Although there is not a dedicated game store open in Mosbach anymore, we did find some shops that carried board games (but no RPGs). 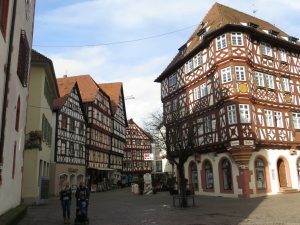 In the historic town center of Mosbach, we found Dunz GmbH & Co.KG with spielwaren (toys in German) listed in the window, so we wandered in and found a nice selection of games, especially for kids. We also found a Müller nearby, which is a department store in Germany known for its huge toy and game section. Always fascinating to see what games are available in Europe but have not crossed over to the US and to see the other language versions of games I already own. Global + Missions + Technology + Leadership + Worship + Fellowship + Food + Gaming = Christian Geek Bliss! I have developed many professional relationships and such strong friendships at these conferences with gaming being a social element outside of our keynotes and workshops that helps draw us together. Tabletop gaming continues to be such a strong relationship builder across ages, status and cultures. 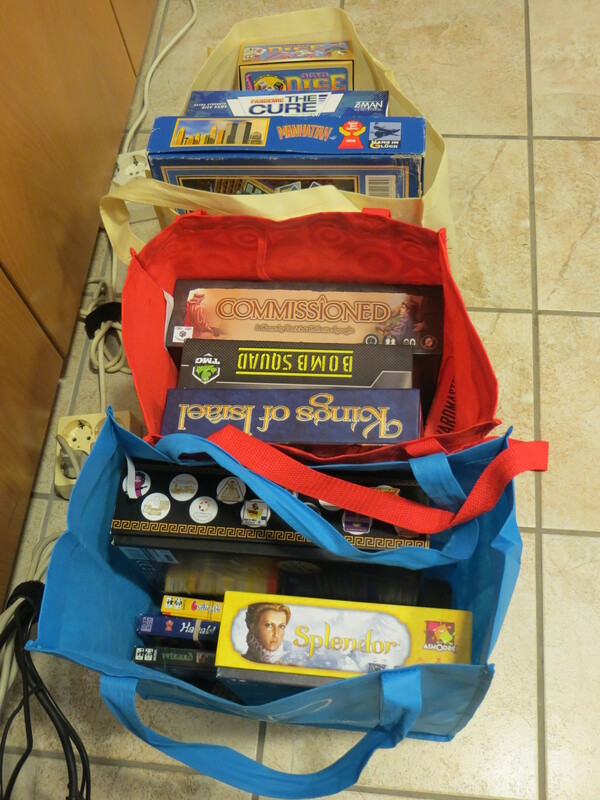 I even did a little bartering with an attendee who lives in Germany to acquire some games off his trade list. 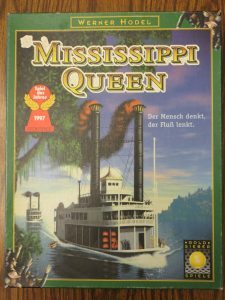 My favorite acquisition was a German SdJ Edition of Mississippi Queen.